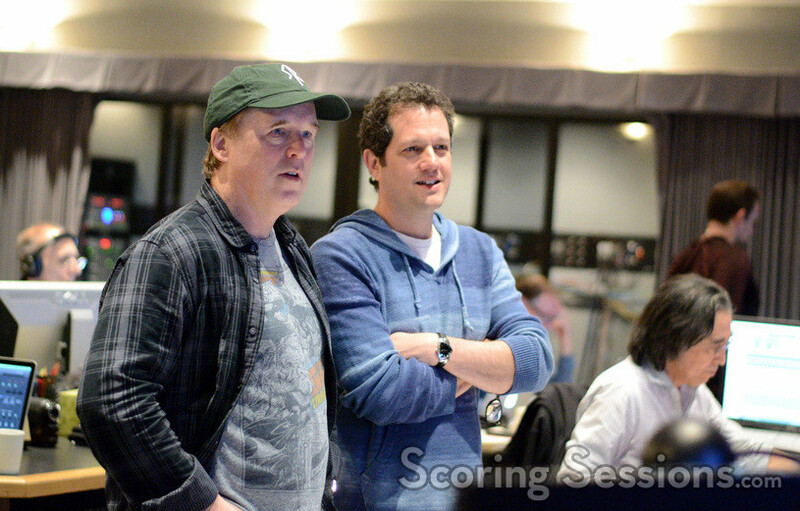 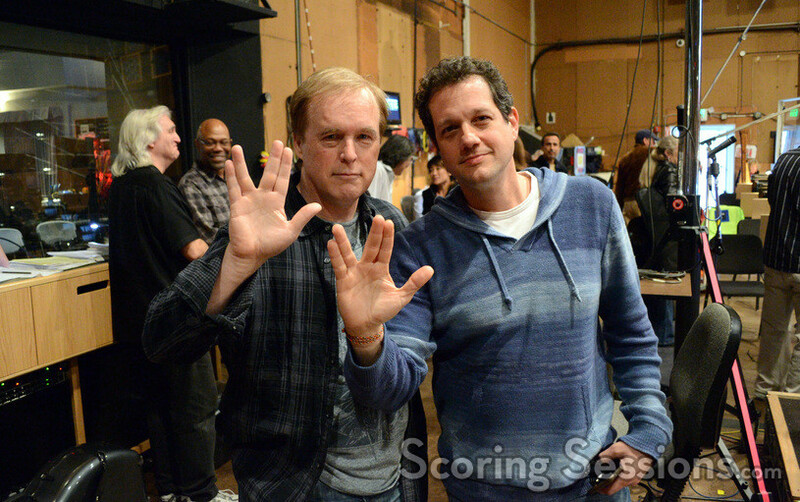 Earlier this year, Oscar-winning composer Michael Giacchino recorded his score to the new Brad Bird film, Tomorrowland. 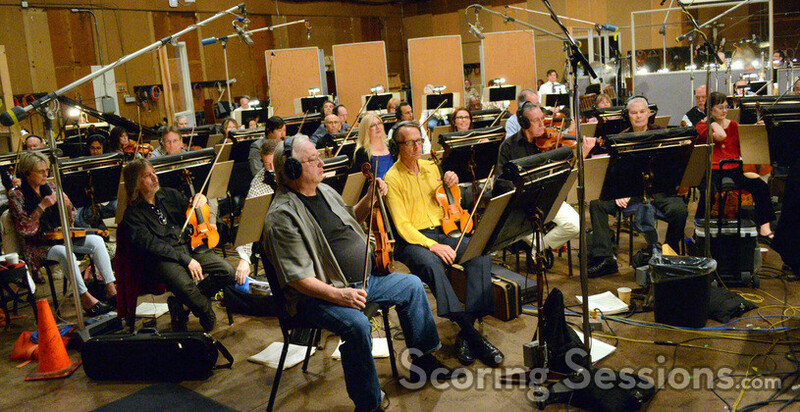 The movie, starring George Clooney, marks the fourth collaboration between Giacchino and Bird, and was written by Brad Bird and Damon Lindelof, and opened this past Friday (May 22, 2015). 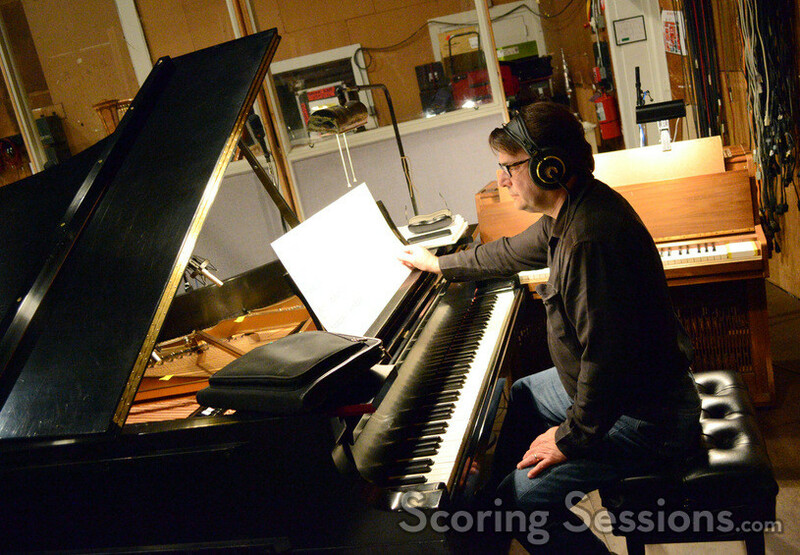 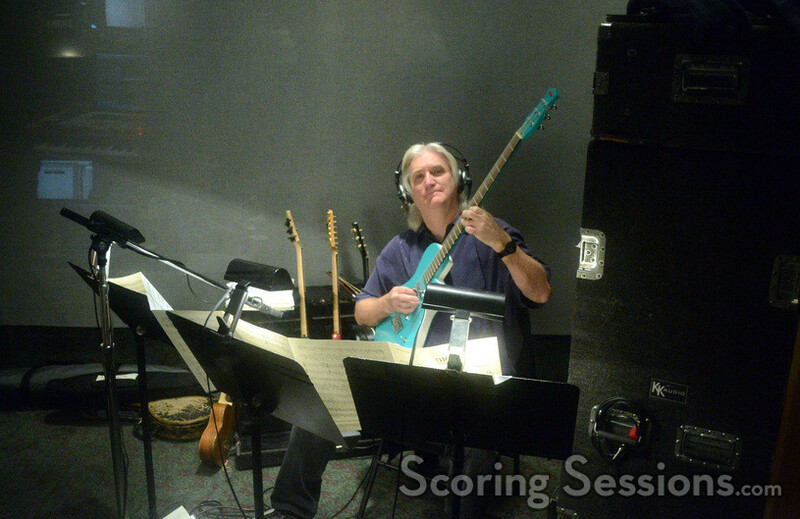 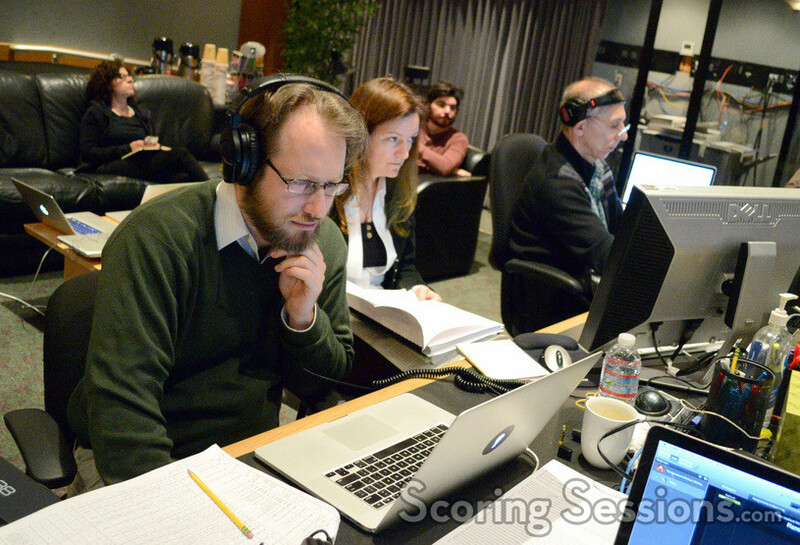 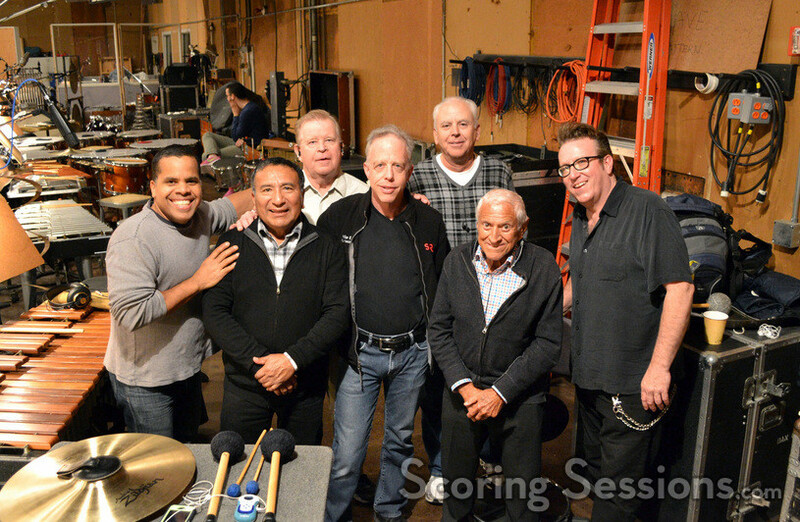 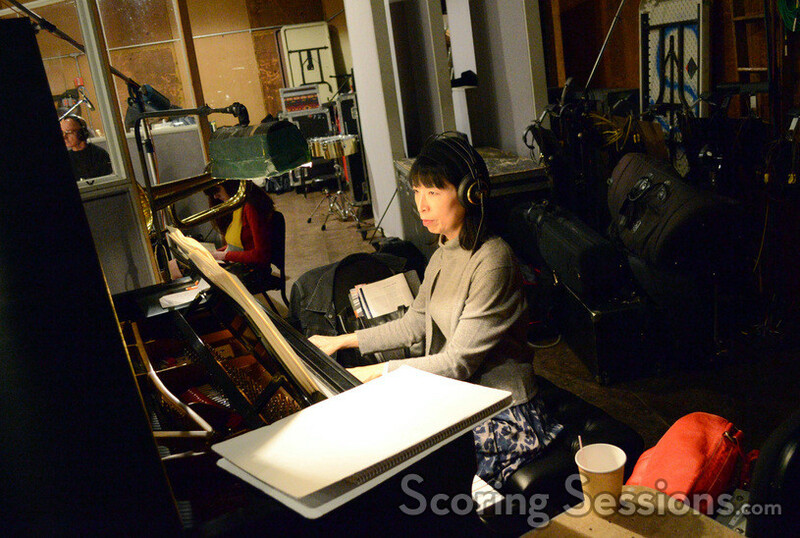 Recording took place at the Sony Pictures scoring stage, and ScoringSessions.com is excited to bring our readers exclusive photos from the sessions! 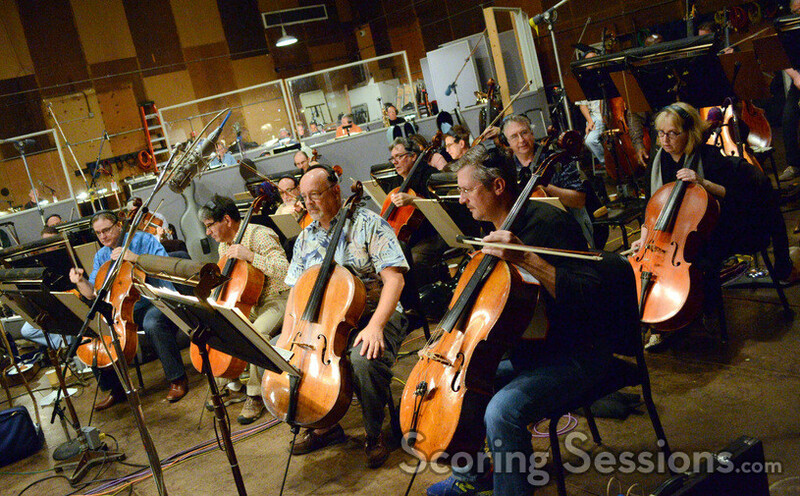 For the music to Tomorrowland, Giacchino had his longtime orchestrator and conductor Tim Simonec leading an epic 96-piece ensemble of the Hollywood Studio Symphony. 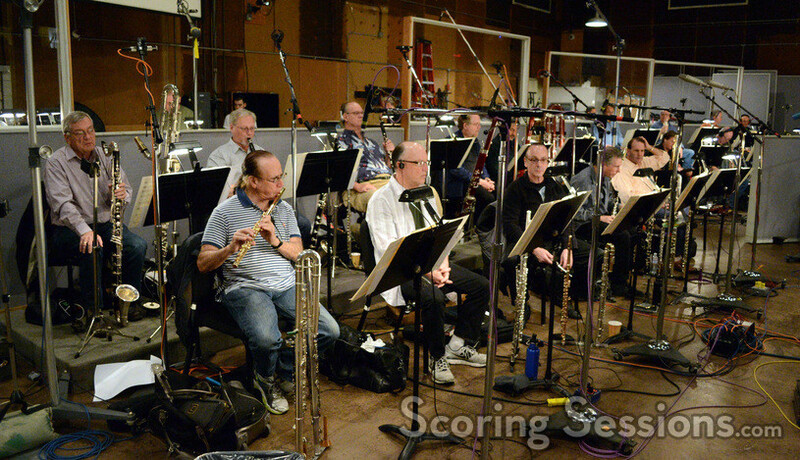 Giacchino wrote over 100-minutes of score, and we were there when they recorded the thematic and heroic end titles, as well as the exciting and energetic "house attack" sequence, among other bits. 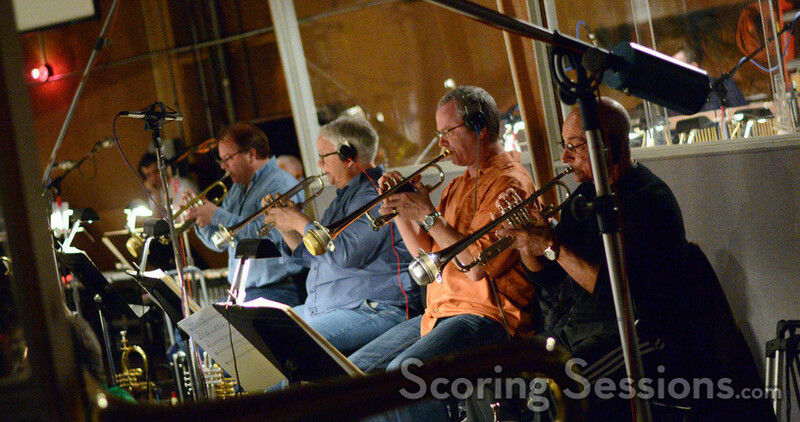 For one sequence, Giacchino wrote the music backwards, with the intent to be played-back in reverse, giving it an otherworldly sound. 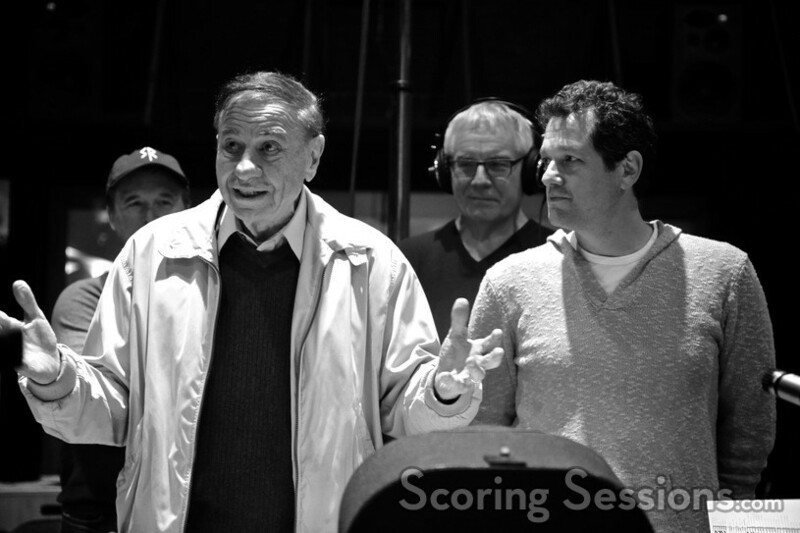 Legendary Disney composer/songwriter Richard Sherman, who along with his late brother had written the classic tune "There’s a Great Big Beautiful Tomorrow" for the 1964 World’s Fair, visited the session during one of the dates. 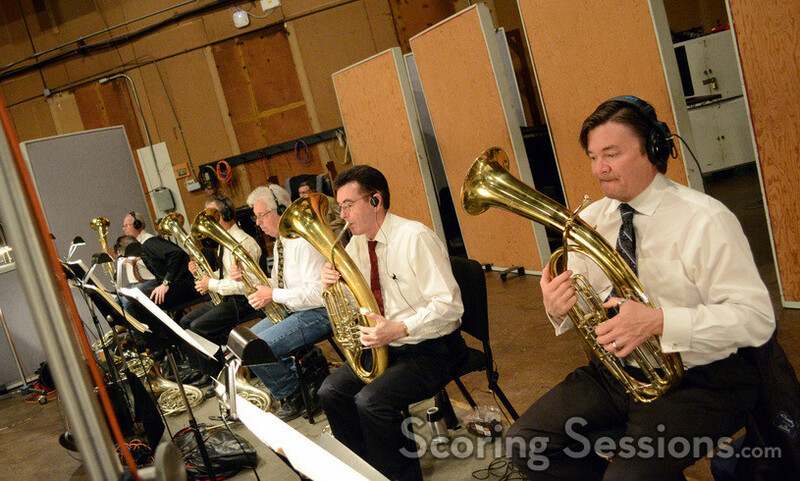 They re-recorded the tune for the film, using the original orchestration (but a much larger ensemble) which was then paired with the original 1964 vocal track – it appears in the final film as background source. 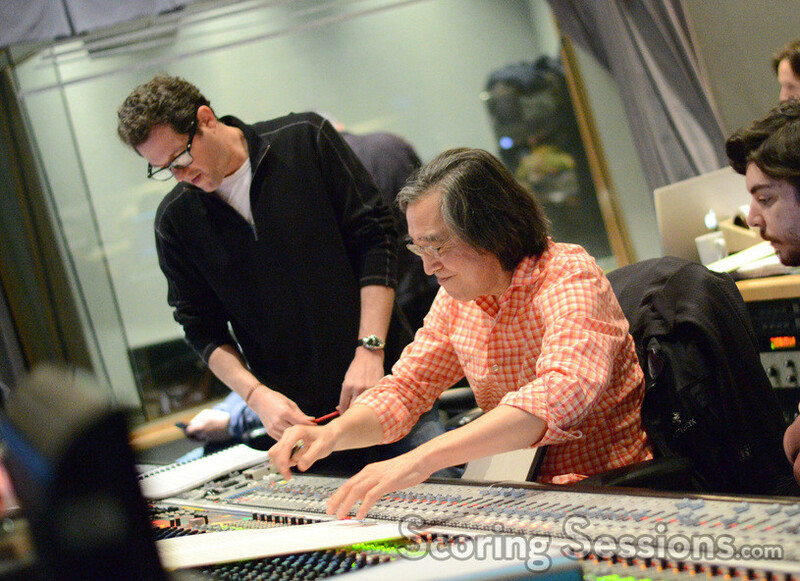 In the booth, score mixer Joel Iwataki was handled the recording duties, joined at the console by Giacchino and director Brad Bird. 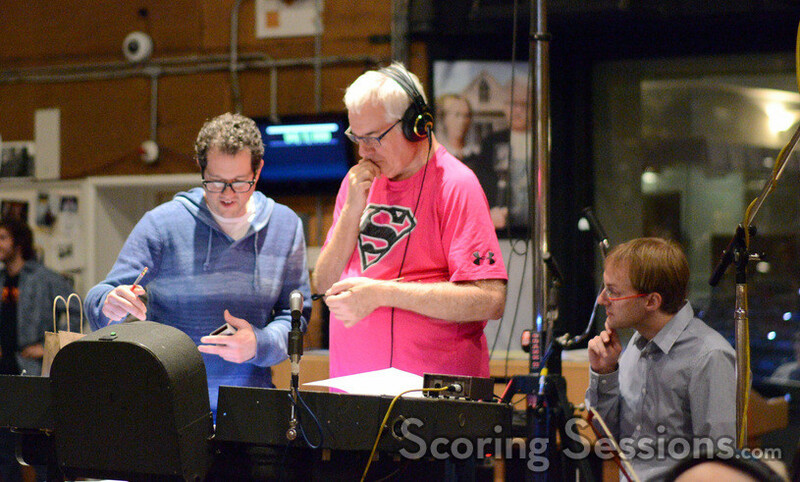 The rest of the music team was also in the booth to give feedback, along with ProTools recordist Vinni Cirilli, music editor Alex Levy, assistant music editors Mae Crosby and Warren Brown, orchestrator Jeff Kryka, and music librarian Marshall Bowen. 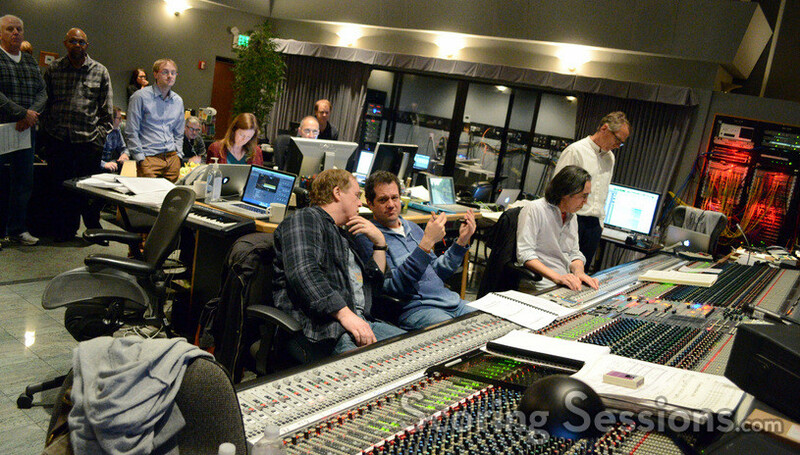 Tomorrowland opened in theaters this past weekend, and Brad Bird personally recommends you see the film in Dolby Vision capable theaters. 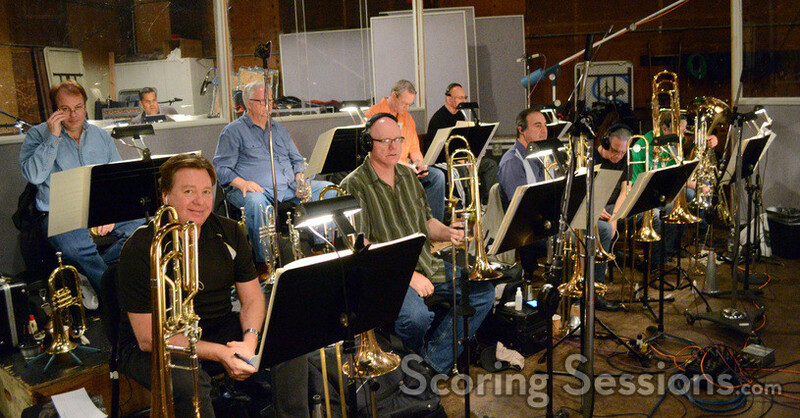 The soundtrack is available from Walt Disney Records.